Having scaled many new heights, superstar Rajinikanth has entered the Central Board of Secondary Education (CBSE) school textbook with his success story, 'From bus conductor to Superstar'. Published by the Oxford University Press, the book Learning to Communicate, has a chapter on the superstar 'From Bus Conductor to Superstar'. 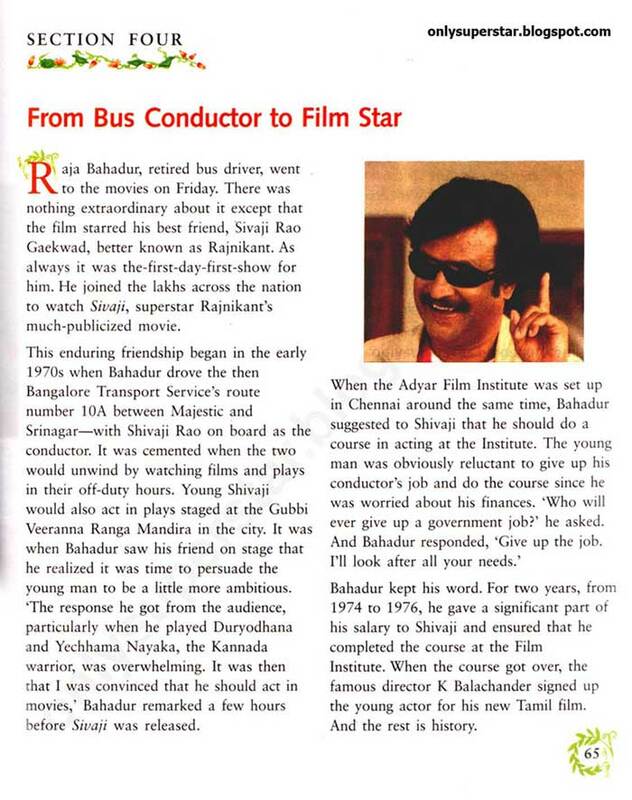 The chapter, which comes under the unit 'dignity of work', explains the success story of Rajinikanth, through an experience of his friend Bahadur, who was the driver, when the superstar worked as a bus conductor in Karnataka before entering the films. It begins with Bahadur going to a theatre to watch Sivaji - The Boss, Rajini's latest blockbuster and recalls his association with the actor. It was Bahadur, who prodded the then conductor Sivaji Rao Geakward to join the Film Institute in Chennai after identifying his talent in acting. 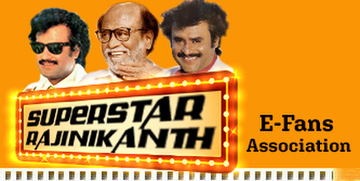 After admitting the reluctant Rajni in the Film Institute, Bahadur took care of his financial needs for nearly two years. 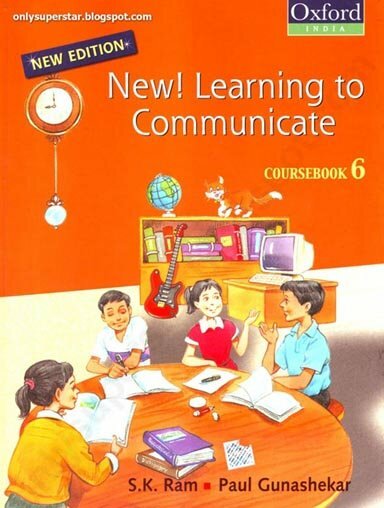 The chapter explains how the Superstar still catches up with Bahadur. Incidently, Rajinikanth was presently acting in a film Kuselan, depicting the story of an actor, who has not forgotten his childhood friend, who is a barber. At the end of the chapter, the students were asked to interpret and state why this story fits into the title 'dignity of work', thus making Rajini's story, a good example to emulate.